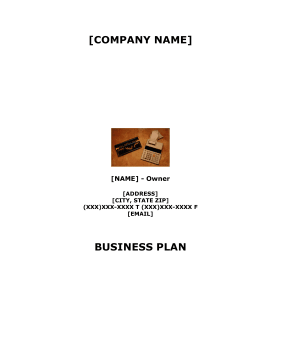 This is a free, printable financial and strategy business plan to guide the new and growing enterprises such as accounting or business tax firms that provide financial services within the public and private sector. The business will offer clients accounting services with the oversight of an experienced accountant at a price they can afford. To do this involves hiring additional accountants, tax preparers (staff accountants) and accounting managers. It will also need to keep fixed costs as low as possible and continuing to define the expertise of the company through its financial education courses and leasing website resources. The effects will allow sales to grow substantially over the three years; as 18 staff accountants are deployed to clients, as needed, while two officer managers and a regional officer manager supervise the [COUNTY] County operations. The principal and an additional salesperson will operate the leasing equipment database division, while the financial education courses will utilize a dedicated instructor. [COMPANY NAME] seeks to launch two new lines of services to add to its individual and small business tax and accounting firm. They include financial education classes and a manufacturing leasing service, which will be offered to the same ongoing clients and to its new client base in neighboring [COUNTY] County as it adds three new offices there. • To employ a total of 18 staff accountants and add one more manager by the end of 2012. [COMPANY NAME] seeks to provide tax, accounting and consulting services at a more affordable cost to individual and small businesses in both [COUNTY] and [COUNTY] Counties, in [STATE]. It will also offer budgeting and debt consulting courses to the public, allowing students to make valuable financial management decisions from their numbers. By the end of 2012 it plans to have an additional 3 offices and add 17 employees; eventually seeking to expand its operations to 10 offices and 50 employees. The focus on community proliferation will intensify to include a new website database to allow businesses save while lease manufacturing related equipment on a part-time basis from each other.